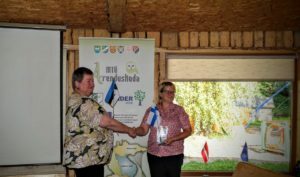 On 2016 and 2017, the project “Sustainable Entrepreneurship In Countryside” enables entrepreneurs to participate in international entrepreneur exchange. Idea of the exchange is to help micro and small entrepreneurs in countryside to find a suitable cooperation partner, learn from each other and cooperate in product development and marketing fields. We encourage to take a young entrepreneur to the exchange – either from family enterprise or community. You can register for exchange here. Then, project management will find a possible partner and agree on exchange dates. The exchange experience is further shared on our webpage under “Stories”.